Starring me! And Justin Simpson, and Michael Varrati, Buffie Peterson, Ran Valerhon and some other people… but mostly me. ME ME ME! DANG IT! 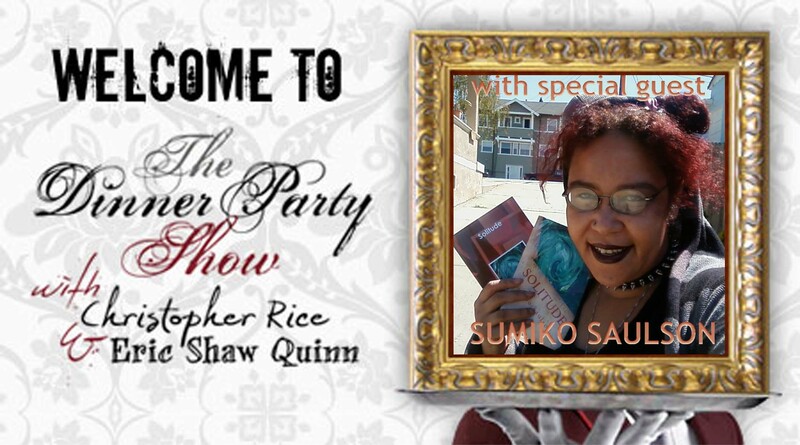 As a part a special edition of The Dinner Party Show where hosts Eric Shaw Quinn and Christopher Rice will be highlighting the questions, interests and lives of their regular and loyal listeners – this blogger included – the two prominent authors will be discussing self-publishing with the viewers. This should prove a fascinating discussion. Eric published his novel SAY UNCLE as an e-book entirely on his own, and Christopher is in the process of doing the same with A DENSITY OF SOULS, now that he has the rights back. I’m sure they’d love to discuss the ins and outs of this side of the business. This discussion was prompted by a question by Justin Simpson, who just finished writing his first novel manuscript back in January. What are the challenges and benefits of self-publishing? Tune in Sunday, March 31, 2013 at 5pm Pacific Time to join the discussion. Dinner Party Show Promo – Two Free Books Sunday! In honor of this special edition of the Dinner Party Show staring its guests (including me) I am for the first time, making both of my Kindle Select titles available FOR FREE all day on Sunday, March 31, 2013. It is said that the Wolf may howl at the Moon, but the Moon never howls at the Wolf. 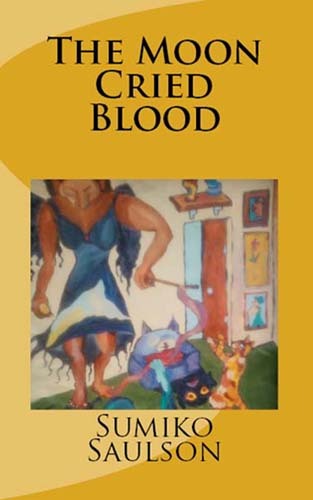 In the gritty urban streets of Los Angeles in 1975, Leticia Gordon is forced to come to terms with many things: the tragic death of her stepmother and baby sister in a car accident, fear she’ll wind up in foster care, and the sudden revelation she belongs to a long line of powerful witches known as Luna – who exhibit first power upon reaching womanhood. Running from foes natural and supernatural, will her new found powers be the turning point that elevates her position of honor, or will it destroy her like the dark forces that consumed her father? In a world turned upside down where time itself seems in flux, in whom can she trust? A great book with a good balance of grotesque and intellect. It’s realistic & unbelievably well-thought-out. Sumiko not only indulges our present intrigue of zombies and vampires, but brings to life the possibilities & disasters that would come from an actual virus outbreak. These pages involve multiple spooky stories that almost kept me up at night. The one thing that really drew me in was all the micro climax or suspense scenes, but here are surely a few twists & turns. This book also shows that Sumiko has a great grasp on many global cultures, predicting in intensely realistic detail every country’s reaction to an outbreak. This book is as much about the world’s economic breakdown as it is blood & guts. It reminds us the importance of surpassing petty differences & coming together as one. Whether you’re a zombie freak or not, this book gives you something to think about.